Wenzhou Guohau Pen Industry Co.,Ltd. GUOHUA Pen Industry Company, an export-oriented enterprise established 20 years ago is one of the earliest writing instrument manufacturers in Wenzhou. It has been honored by the China Writing Instrument Association as a prominent writing instrument company. The company president Mr. Zhu Guohua has been holding the position as vice president of the Wenzhou Writing Instrument Association since it established. Located at the Wenzhou Economic and Technical Development Zone, it is only 30 kilometers from the Wenzhou airport. The factory spans 5800 square meters and utilizes advanced technical equipment. At present, it has more than 380 staff, including approximately 50 professionals. 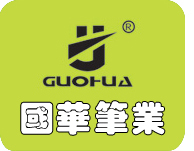 GUOHUA Pen’s main products are water color pens, ball point pens, roller pens, fluorescent pens, markers and other stationery sets under the "GUOHUA" brand. Recently its annual production capacity reached 180 million pens. It’s ball point pen has been honored as a “Famous brand of China writing instrument industry” by CWIA. The company has state-of-the-art mould-making equipments. Also, with its own designing and tooling professionals GUOHUA Pen has developed over 100 different products. It can also take special orders, designing and production according to your requirements. GUOHUA Pen has also established an internal scientific quality administrative system. Because of its reliable quality, GUOHUA Pen has earned a solid reputation and has been active in more than 100 countries and various regions all over the world. Grow with its world �Cwide reputation over the past 20 years, as well as its product developing capability, GUOHUA has proved itself as a reliable supplier both home and abroad and we welcome the opportunity to do business with you.